They can afford to spend hours everyday in the gym, working with the best trainers just to get the smallest fraction of a competitive edge. 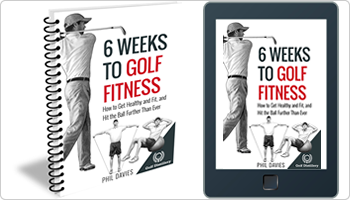 But if you’re an amateur golfer (whether that’s high handicapper or ambitious scratch player), is it really worth your time and effort to get fit specifically for golf? Will it make that much difference to your game? And in fact, you probably don’t have to commit as much time to a golf fitness program as you might think. Scientific research has shown, regardless of your age or handicap, that you can increase the distance of your drives (and your irons), increase the accuracy of your shots, reduce your risk and severity of golf-related injuries and lower your overall scores. We’ll look at why it’s well worth getting fit for golf and the benefits you can expect. 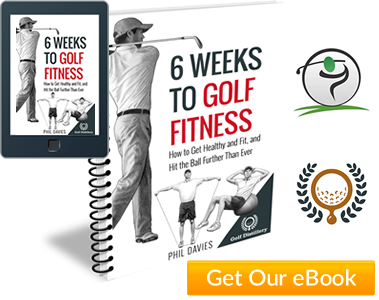 We’ll then look at some sample golf workouts and routines – based on proven sports science that you can complete in the comfort of your own home. Resistance or weight training improves our physical strength. 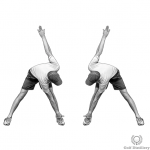 Stretching improves our flexibility and cardiovascular exercise, like jogging, improves our endurance. That’s common knowledge and common sense. But more importantly, does an increase in strength and flexibility lead to improved performance on the golf course? A number of recent studies have shown that a carefully designed golf exercise program increases club head speed, ball speed, carry distance and total distance. While golf isn’t just about how far you hit the ball, all other things being equal, greater distance translates to lower scores. The closer you are to the green for your second and third shots, the easier those greens are to hit. And the more lofted a club you can take, the easier it becomes to make a good contact. What’s reassuring is that during these studies, all of the participants increased their distance and power without any negative effect on their accuracy. So there was no trade off. 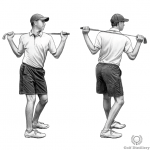 A certain type of stretching routine, performed just a few times a week can actually result in golfers being able make straighter swing paths and hit more shots out of the centre of the club. 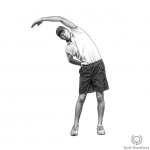 By stretching for 10 minutes or so 3-4 times a week, you can hit a golf ball cleaner, straighter and more accurately than you ever have before. Golfers can spend hundreds, thousands on lessons and custom-fitted equipment without achieving those results. 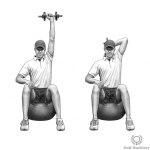 Seniors respond equally as well as younger individuals to golf fitness programs, even those in the 70+ age bracket. In fact, whenever any group of golfers is analysed, regardless of age or handicap, one thing holds true – fitter players are better players. 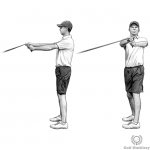 So to sum up, not only will the right fitness for golf program allow you to hit the ball further, it can also help you to improve your accuracy, ball striking and swing consistency (it can even help your putting distance control). Any of these factors taken alone should result in better golf and lower scores. Combine them all, and you can see the potential impact it will have on your game. 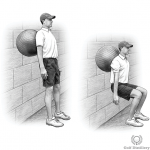 Fitness For Golf – Can It Help With Injury? In fact, recent research suggests that, as a club-level golfer, you have a 40% chance of suffering a golf-related ailment this season. Did you know that at any one time, up to 57% of amateur golfers are complaining of one or more injuries? As you’d probably guess, the most common complaints are pain and discomfort in the lower back, elbows, shoulders and wrists. What’s interesting is that about 80% of all golfing injuries are down to overuse. You’d expect that for touring professionals who spend hours everyday hitting hundreds of balls, but not for your average weekend golfer. Poor technique and an inefficient swing. This places a lot of stress on joints, muscles and connective tissues. A poor level of functional fitness, including a lack of strength, flexibility and core stability. 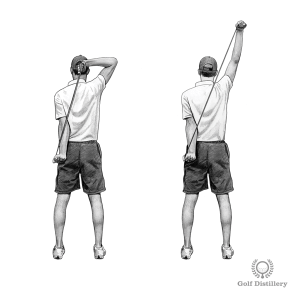 Fortunately, most golf injuries aren’t serious and won’t necessarily stop you from playing. But at the very least they will affect your performance and your enjoyment on the course, not to mention during life in general. 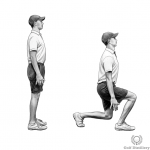 Research into other sports and golf, shows that the best way to prevent overuse injuries is to follow a suitable exercise program, one that builds strength in the right muscle groups and increases flexibility in the right places. Reduce the risk of coronary heart disease and stroke. Protect against and reduce high blood pressure (many people have high blood pressure but don’t realise it). Improve your cholesterol levels by increasing the levels of good (HDL) cholesterol. Promote healthy blood sugar levels and can protect you against type 2 diabetes. Help to prevent osteoporosis (low bone density). Protect your joints by reducing excess weight and body fat which helps to keep you at a healthy weight long-term. Increase your functional capacity (makes everyday tasks feel easier. Improve blood flow and your circulation. Lower stress levels and helps you to sleep better. Improve your mental health and is an effective way to beat depression. Increase feelings of satisfaction, happiness and well-being. Improve your self-image and self-confidence. Why not use these benefits, as well as improvements on the golf course, as motivation for following a fitness for golf program?